The Saudi British Bank (SABB) has a reputation as one of the region’s most solid financial institutions. Incorporated in 1978 as a joint venture between HSBC Holdings (40%) and private Saudi investors (60%), the bank is approaching its 40th birthday in great health, with discussions of a potential mega-merger with Alawwal Bank. This would see SABB become the Kingdom’s third-largest bank, with assets of almost $80bn. Against this backdrop, it would be easy to imagine SABB as a hive of uptight number crunchers, much like any other financial institution in the GCC. This simply wasn’t apparent on my visit to its Riyadh headquarters, with its spacious, open-plan offices, staff canteens and central hallway – the recent location for a company-wide table tennis tournament. “It feels more like the offices of a Californian tech company”, I comment to general manager of HR Faisal Jadu, who smiles in acknowledgement. SABB’s people focus has been ingrained in its HR function over a number of years by experienced professionals in the field. 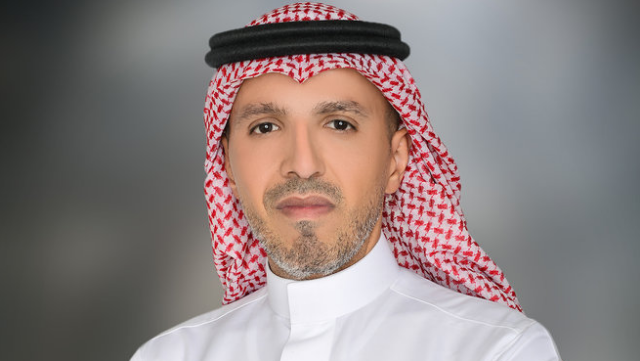 Jadu has been with the bank for six years, becoming general manager of HR in August 2017, when his former manager, Ahmed Al Sudais, moved on after more than 20 years’ service. The focus has been on creating an ambitious long=term plan to position SABB as the employer of choice in Saudi Arabia – a tough ask when financial service employers in the Kingdom regularly report the lowest levels of job satisfaction in the GCC. The function works on three-year strategy cycles. Between 2014-2016, the aim was to evolve into the best Saudi bank to work for. Jadu’s team began by examining where it stood in the market, commissioning a research company to survey around 1,000 graduates across Saudi Arabia. While SABB ranked number one in the employer equity index, it wasn’t top in some of the attributes surveyed. Second, SABB gathered employee feedback from its 2013 Global People Survey, looking at staff engagement, job satisfaction and enablement. It found that employees wanted better development opportunities, collaboration and diversity. Consequently, the team quadrupled investment in training and development, creating executive leadership programmes with IMD business school in Switzerland. They assessed the demographics of the workforce and focused on growing the bank’s number of female employees from 15% to just under 20% in two years, with increased representation at senior levels. To inspire the team, SABB engaged key speakers from business to share their stories, including Olayan Group CEO and billionaire Lubna Olayan, who spoke about women’s career progression. The focus on people development had a startling effect. In SABB’s 2015 Global People Survey, engagement scores increased by 22% with 86% of employees stating that the bank was “a great place to work”, up 30%. Attrition rates also fell. Jadu believes that the whole culture of the organisation shifted. The make-up of SABB’s HR team – and the trust it engenders in employees – is key to this success. The 68-strong HR function is made up of generalists, specialists and those from a business background. SABB’s success has made its employees highly sought after, particularly with numerous Vision 2030 projects launching in the region. Jadu concedes that retention is a challenge to the business, particularly at executive level; there is new competition from the public sector, following a change in government mindset which breaks the traditional constraints about attracting high-calibre people from organisations within the private sector. Recent government senior appointments from SABB are prime examples. Jadu’s HR colleagues are also in demand. He estimates that half of the heads of HR in Saudi banks have previously worked at SABB, with a quarter of the industry’s training leads ex-SABB. To combat this, SABB is accelerating its succession programmes, moving from 18-24 month development plans to 12-18 months. It is also beefing up its future leaders strategy, creating two layers of succession below key executives, rather than just one. It is introducing retention bonuses for certain executives to encourage them to stay, as well as making use of the connectivity with HSBC to provide opportunity for executives with high potential to gain some international exposure by working on a short-term assignment in HSBC for a set period of time. “We don’t mind what is going on in the market,” insists Jadu. “SABB is a national company and we’re a school for delivering leaders. When they move on at the right time, in the right way, they help improve the industry. We are proud that a lot of our key executives end up in government,” he adds. Jadu describes SABB’s team, as the “Real Madrid of banks”. This wealth of talent means progression within SABB can take longer than at other organisations. However, Jadu is an advocate of business experience as a quality, pointing out the importance of organisational trust in an individual. He cites himself as an example. Jadu is clear that a multi-skilled workforce is vital to the future of the financial industry. He believes the near future of banking is ‘digital’, with the years beyond that likely to be preoccupied with understanding customer experience and what drives people’s emotions. Ultimately, it is the evolving nature of work that is driving SABB’s desire to be a market leader in all business – not just within the financial industry. To stay competitive, it will need engaged employees with many skill-sets.